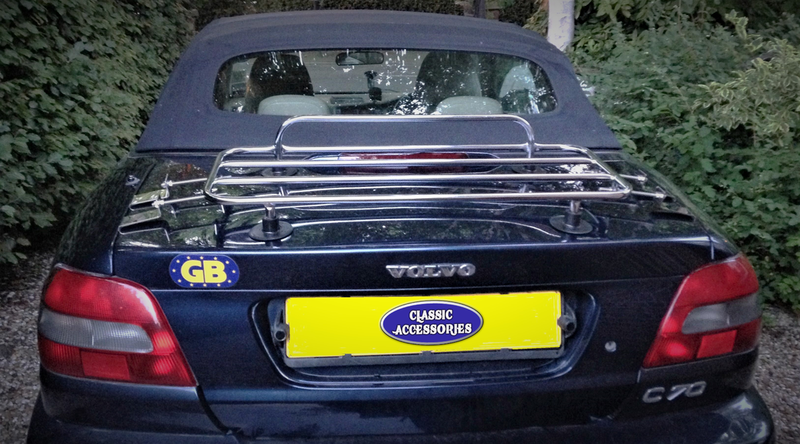 ​Premium quality "Classic Style" British made luggage racks with custom fittings suitable for the Volvo C70 convertible series one (1997 to 2006 MY). May be mounted either traditionally with the upstand at the back of the car, or reverse mounted as shown. Supplied with four mirror polished stainless steel adjustable side fittings.